on the way home to melbourne, after our big weekend away, we stopped in at a tiny town called sea lake. after a wander down the main street to 'stretch the legs', a happy little window display full of small succulents & cacti caught my eye. the door was open. i couldn't see anyone, but i wandered in anyway, only to startle the shopkeeper who was setting up to open the next day. 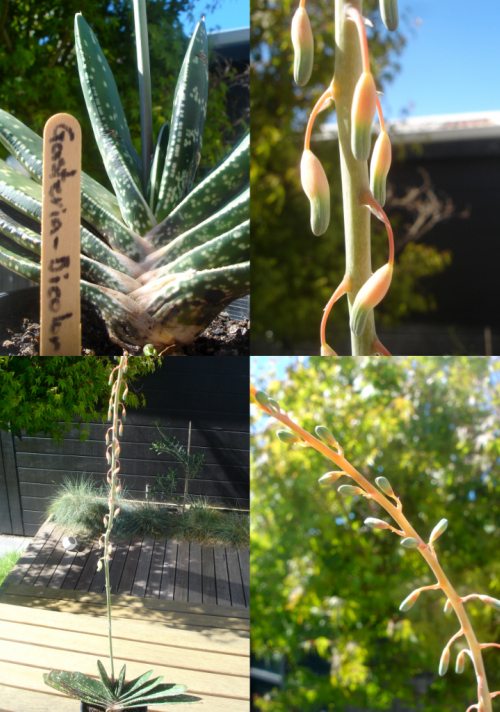 this 'gasteria bicolor' cactus with it's spectacular flower was only $7.50, so home it came.